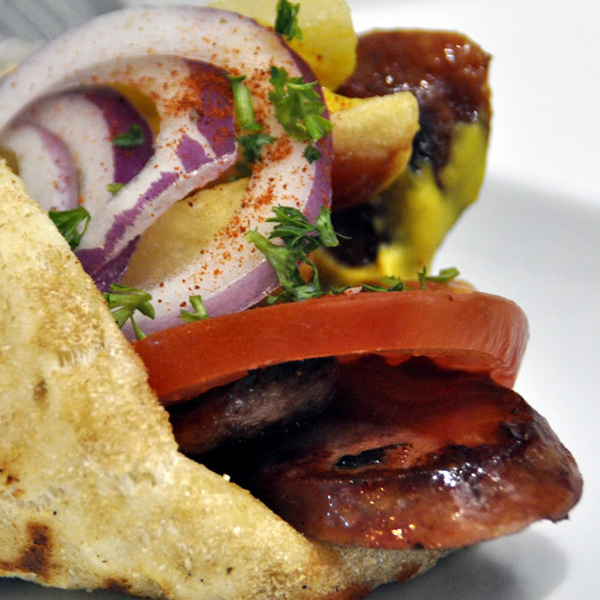 Pita with loukaniko (sausage)! 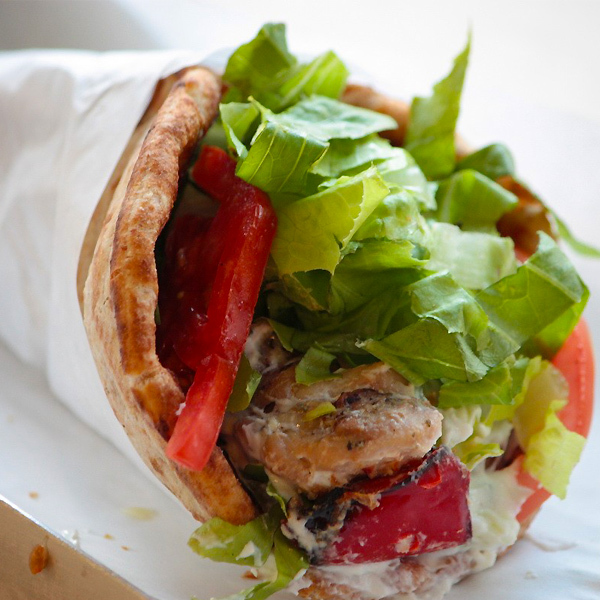 The new addition to our pita family. Is really popular in Greece and for good reason. 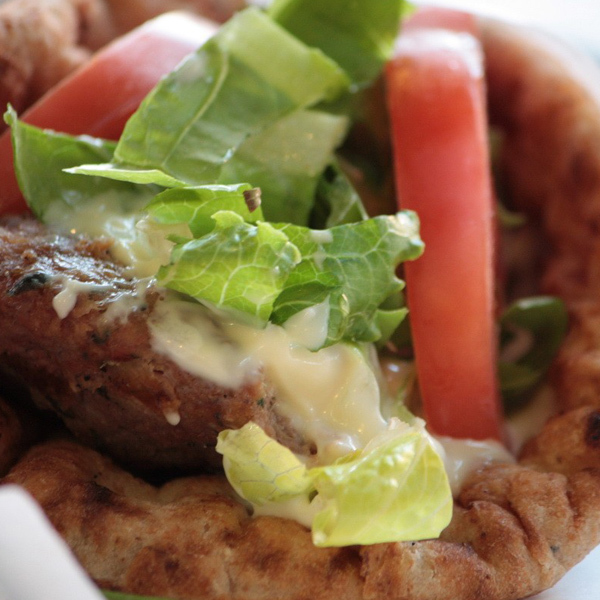 Its stuffed with well cooked sausage, garnished with a cooling tzatziki sauce, wrapped in a delicious crispy pita and best of all? It tastes like heaven! Loukaniko (Greek: λουκάνικο) is the common Greek word for pork sausage, but in English it refers specifically to Greek sausages flavored with orange peel, fennel seed, and various other dried herbs and seeds, and sometimes smoked over aromatic woods. Greek sausages are also often flavoured with greens, especially leeks. 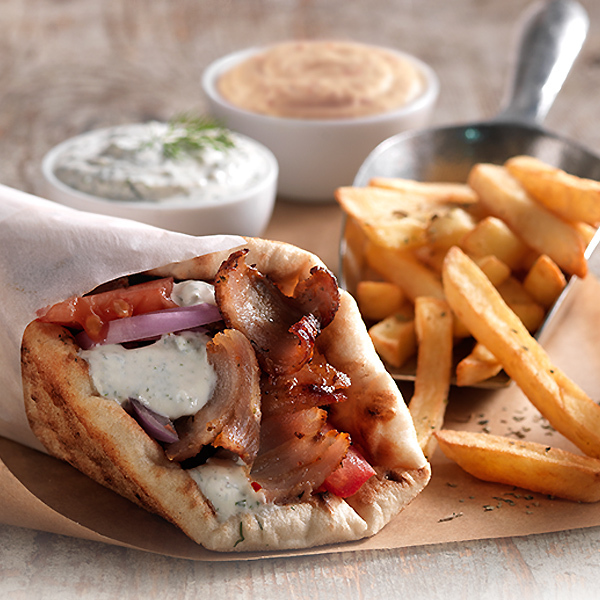 The name ‘loukaniko’ is derived from ancient Roman cuisine’s lucanica (from Lucania region of South Italy) and has been used in Greek since at least the 4th century.